Being a busy mum painting my nails is usually a luxury I have very little time for. 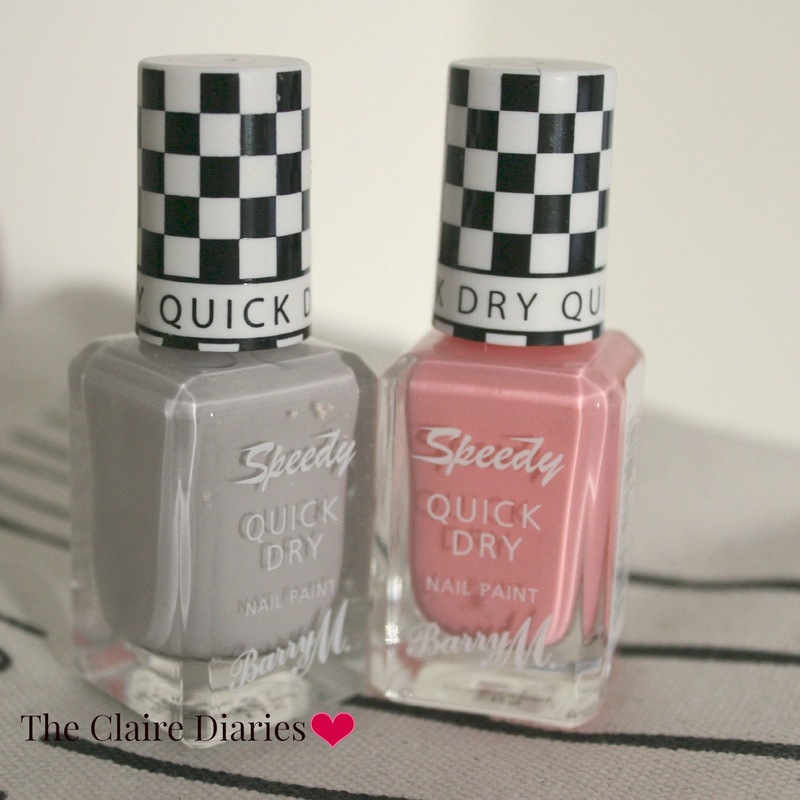 So when I was shopping in Tesco the other week and I spotted these Barry M Quick Dry Nail Paints I thought I would give them a try! They come in some really cute pastel shades perfect for spring and summer. They also have really cute racing flag style instantly recognisable packaging which I just love. They are so easy to find in my huge bag of nail polishes which when you're in a rush really helps. Another feature I really love is the flat round brush. It makes getting to your cuticle line a lot easier and means there is little to no clean up needed. Perfect if you have a tendency to be a bit cack handed like me! The million dollar question....Do they dry quickly??? Well yes, yes they do! I found that one coat was dry in about 60 seconds and two coats was dry and ready for me to continue getting ready within 3-4 minutes! I will admit though that I wasn't looking for a perfect finish when I applied the nail varnish so only applied two coats. To get a really good finish I would think you would need 3 coats so drying time would be longer. All in all they generally deliver what they promise. I bought the colours Pit Stop and Kiss Me Quick. £3.99 - Great for a cheap quick mani!